While Steve Jobs was right that a stylus-based user interface is wrong, there are tasks that require absolutely more precision. For example, anyone who’s ever created or edited an image on an iPad knows the frustration — your just aren’t as precise as pen, pencil or stylus. So, assuming does indeed plan to release a 12-inch iPad Pro, who will be the target audience? The obvious answers are artists, engineers and architects. Given the relative imprecision of fingers compared to pens, pencils and styli, Apple will therefore release an iPad Pro with a stylus as an option. Right. KGI Securities’ Ming-chi Kuo believes that is exactly what Apple is planning. Of course, Apple has plenty of intellectual property (aka US Patents) covering any potential iPad + stylus product offering. 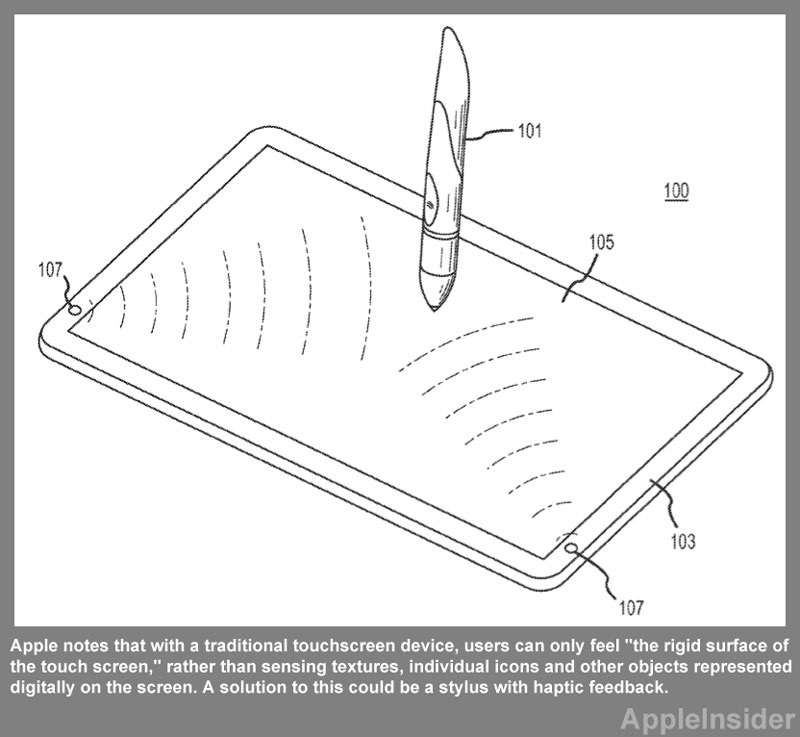 In fact, Apple has patented the concept of a haptic (ie tactile) feedback interface that could make onscreen UI elements physically discernible. 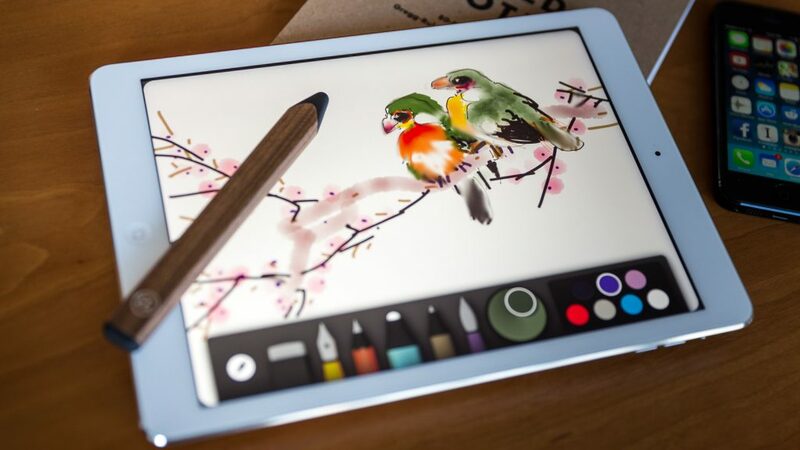 Of course, an iPad Pro + stylus with haptic feedback would be a boon for visually impaired folks, it could also be a game changer for the aforementioned artists, engineers and architects. That said, while Kuo is firmly behind the idea of a 12.9-inch iPad Pro, other Apple watchers believe it will be a 12-inch device. Regardless of the actual size, do you think an iPad Pro + stylus is the right move for Apple?